Why YOU should care about GMO's in our food supply…... - Real Food. Real Fitness. You have probably heard by now about the rapid increase of GMO’s (genetically modified organisms) in our food supply. 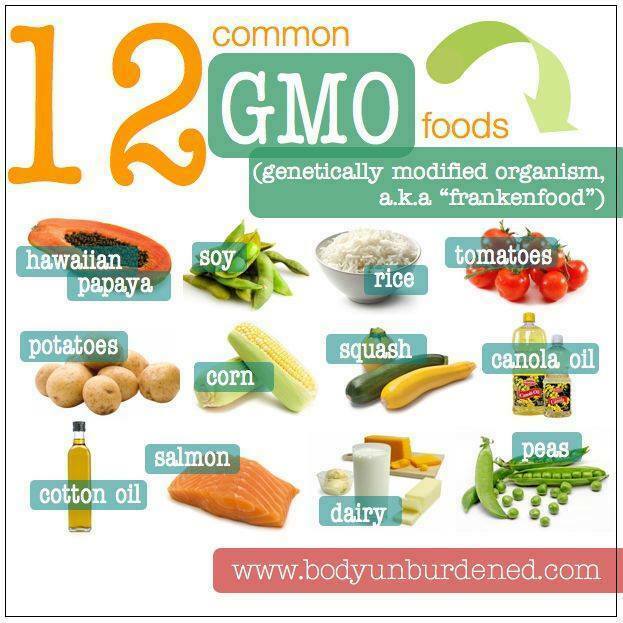 Did you know that these GMO’s are having a significant negative impact on our environment and our bodies? Even scarier is that food companies are allowed in many cases to include these in their ingredients without even letting us the consumer know about it. Many of the foods we currently eat have been genetically altered and we don’t know which ones. I’m going to break it down for you and hopefully get you to understand why we should all care and go NON-GMO and support a mandatory label for GMO foods and ingredients. A genetically engineered food (GE or GMO) is a plant or meat product that has had its DNA artificially altered in a laboratory by genes from other plants, animals, viruses or bacteria in order to produce foreign compounds in that food. This type of genetic alteration is NOT found in nature. Why are they harmful when consumed? GMO’s require massive amounts of pesticides, herbicides, and fungicides and should not be eaten or run into our water supply. GM foods have NOT been proven 100% safe and many studies prove we should be weary about ingesting these foods. For example a study on the organs of rats who ate GM potatoes showed signs of chronic wasting and females fed a diet of GM herbicide resistant soybeans gave birth to stunted and sterile pups. First and foremost eat a clean REAL food diet free of processed foods. GMO’s are found mostly in factory farmed meats and processed packed foods/junk foods along with non organic produce. Support companies who proudly stamp the NON GMO seal on their products. Support GMO labeling of all foods. Interesting fact is that the European Union has banned GMO’s , as have Australia, Japan , the UK and two dozen other countries that recognize that a lack of long term studies and testing may be hiding disastrous health defects. Come on America!!! How about you, do you try to avoid GMO’s ? ?